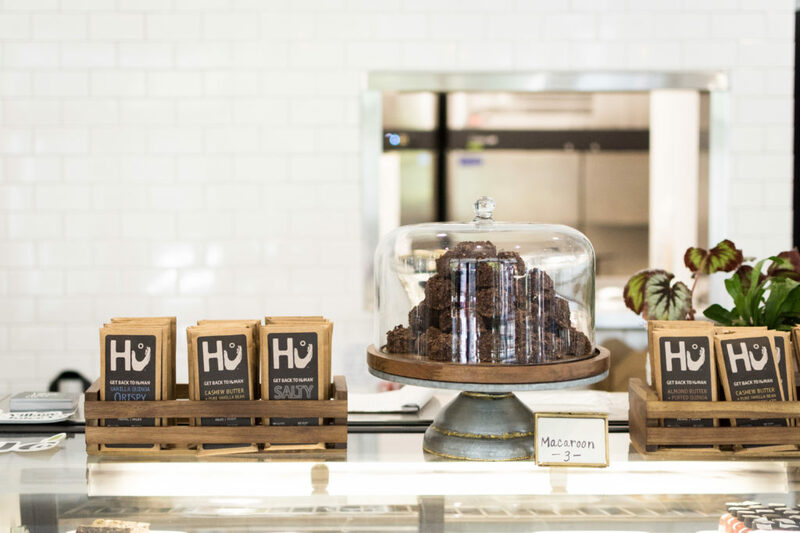 We were in Winston-Salem the other day to check out Village Juice Co.’s new downtown restaurant space! Needless to say, we came away from the trip very excited! From the moment we walked through the door, we felt happier. 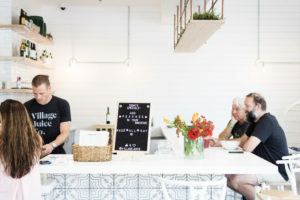 The interior of the space is so bright and beautiful, and we loved all the different types of seating, especially the two swinging chairs in the corner! 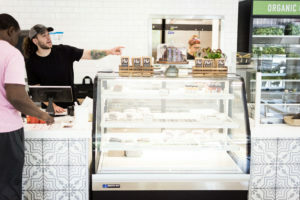 It was so cool that ingredients, juices, and sweets were all visible to the customer, and we especially loved the refrigerated wall of organic greens against the back wall! After seeing all of these delicious, fresh ingredients we were ready to eat! The toast menu called our name, so we ordered a piece of nut-butter whole grain toast with bananas and strawberries. We of course had to get something to drink, so we grabbed a Majik Milk as well. The meal was so delicious and filling! We even grabbed some dessert, a slice of in-house made raw vegan raspberry cheesecake! 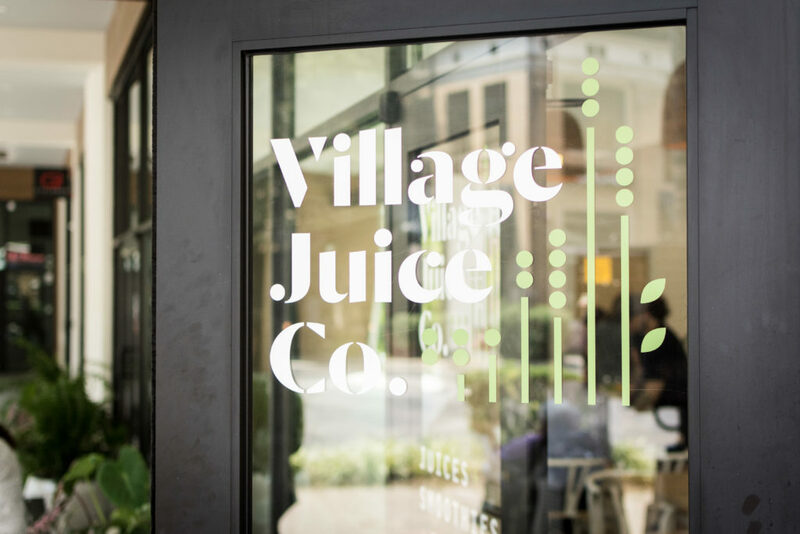 The visit just made us so excited for the Village Juice Co. location in McEwen Dining Hall to open this Fall. 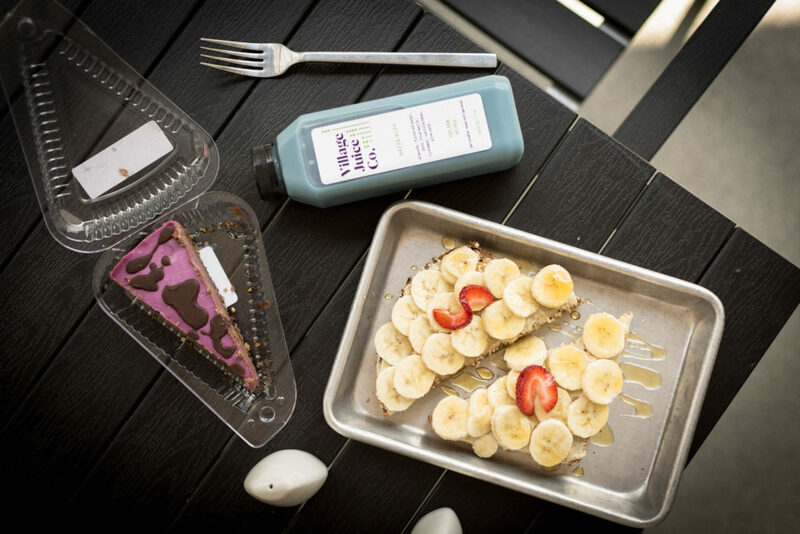 It’s such a pleasure to have an awesome, local company like Village Juice come to campus. 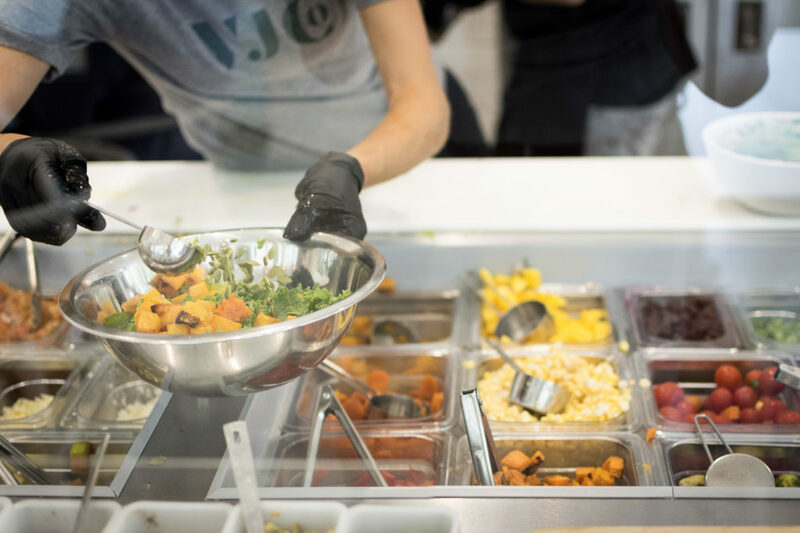 We know that this campus is going to love Village Juice’s healthy, delicious food!